For the sixth time Reeperbahn Festival and Hamburg Startups are hosting the Startups@Reeperbahn Pitch. Five startups will be given the chance to present their businesses to over 450 investors, corporates, journalists, multiplicators and hand-picked VIP guests from Germany’s digital and media industry. The winning startup can look forward to take home the WELT-Mediaprize – a media budget totalling €150,000 as well as a trip abroad to SXSW 2019 in Austin, Texas. Startups from all over Europe are invited to apply now! Applications will be accepted until 10 August. A committee of experts will select five startups in a special crowd selection procedure on 23 August. The five carefully selected finalists will then present their businesses at the Startups@Reeperbahn Pitch to interested investors and a top class jury, consisting of Scarlett Li (Vice President - China Media Capital), Dr. Cornel Wisskirchen (Managing Director, Regional Head Northern Germany, Deutsche Bank), Leah Hunter (Editor Fast Company & Forbes, Author) Jan Nimtz (Managing Director, Axel Springer Media for Equity) and Dr. Lars Janzik (CEO Vertical Media, Gründerszene) at Hamburg’s club Gruenspan on Wednesday, 19 September during Reeperbahn Festival. As a delegate you can register for the Startups@Reeperbahn Pitch here using the promotion code DelegatesStartupsRBN (valid for the first 25 registrations). Further, Startups@Reeperbahn will be offering a supporting programme for startups, investors and other interested parties. Find all detailed information on the Startups@Reeperbahn Pitch and the programme of the thematic strand Startups@Reeperbahn on our website. 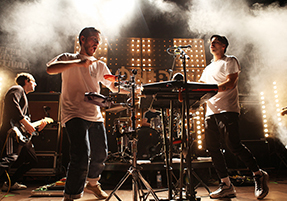 On Wednesday, 19 September Reeperbahn Festival’s export programme Wunderkinder - German Music Talent one more time proudly presents the most outstanding German acts with great international potential. The selection of ten acts get the chance to play at Europe’s biggest club festival and to connect targeted with handpicked international talent buyers from the publishing, live entertainment and recording industry sectors. For the first time the programme has been extended by the accompanying possibility of a show at SXSW in Austin, Texas, and Reeperbahn Festival’s New York Edition. Participating acts and talent buyers to be announced via our website soon! 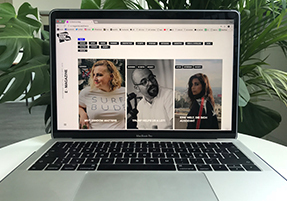 From now on we’ll regularly present to you exciting insights into the Reeperbahn Festival Universe – from artist portraits to interviews with interesting representatives of the music industry to in-depth essays. And best of all, we’ll take you behind the festivals scenes 365 days a year! For further reading we also publish articles from the former printed Reeperbahn Festival Magazine as well as a best of recent publications. Only 62 days until the Reeperbahn plus neighbourhood will be transformed into places full of excellent concerts, art and pop culture, interesting sessions and a meeting place for professionals active in music and creative digital industries. Are you ready yet? Get prepared today! Tickets: Conference Tickets for Reeperbahn Festival can be purchased online for €245.00 (+ VAT and sales fee). Register here. Accommodation: We have put together a great selection of hotels located on and around the Reeperbahn. Travel Arrangement: Discover great travel offers of our partners available to all registered delegates of the Reeperbahn Festival 2018. Last but not least, lean back, turn up the volume, and enjoy the Reeperbahn Festival preview trailer to get in the mood for Reeperbahn Festival 2018!